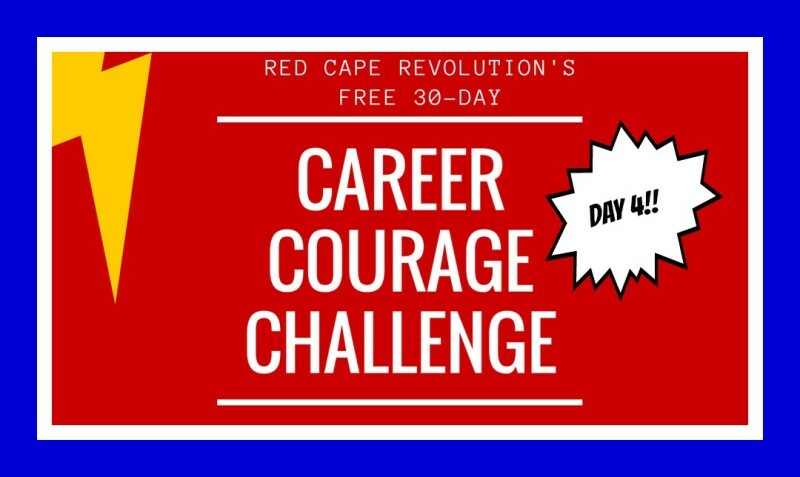 You’re at Day 4 of our month-long Career Courage Challenge! Each day, I’ll be sharing a short challenge you can take to help build your courage and your career. Plus, I’ll be taking the challenges along with you—watch for my notes in the Comments, below, as well as on Facebook and LinkedIn, so chime in! You didn’t get to where you are on all your own. Stop and think of someone who really made a difference for you in your career. Maybe it’s a former colleague, or boss. Maybe it’s a teacher, coach or even just a friend. Extra points if you take pen and paper and write a snail mail note. The rare act of handwriting is more meaningful now than ever, and expressing our true appreciation for others is an act that always takes courage. Don’t forget to share your experience with today’s Challenge in the Comments below! I’m sharing mine each day, too, so chime in. Know someone who should take the challenge, too? Point them to CareerCourageChallenge.com to sign up and get each day’s challenges in their inbox! Today, I’m writing snail mail to a couple of my old bosses, who have been so influential in my career. Now, if I could only find my stamps . . .
Let me know if you’re taking the challenge! A couple weeks ago, I wrote individual handwritten notes to all the faculty of the college at which I work thanking them. I started with wanting to write a few notes and then decided to write all 30 of them. And when I got done, I wrote a few to the other VPs and Deans at the college. They were all sent, too. It is a great thing to write to even those who were not working in my best effort.